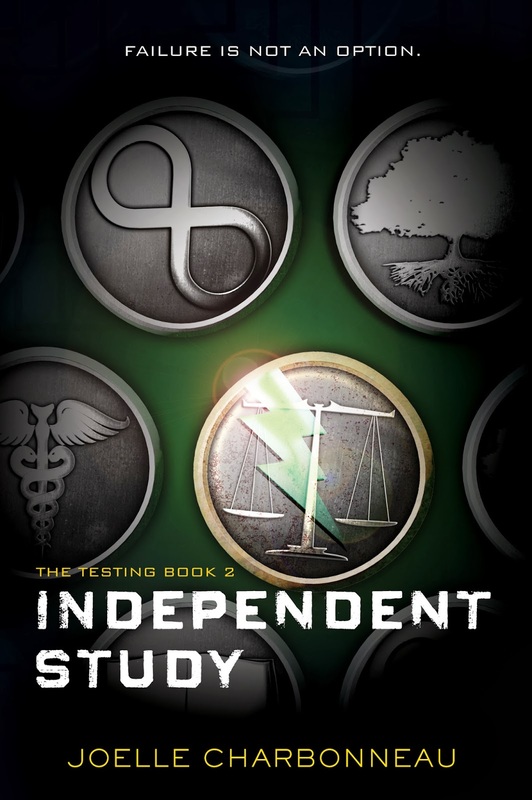 Magical Urban Fantasy Reads: Independent Study by Joelle Charbonneau - Interview + Giveaway! 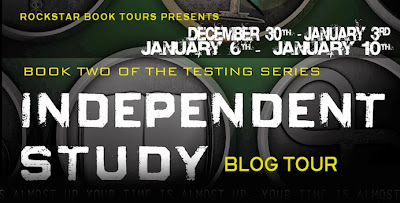 Independent Study by Joelle Charbonneau - Interview + Giveaway! Ever since I can remember I loved telling stories. As I grew up, I started performing those stories on the stage. Creating vivid characters and singing wonderfully complex songs were my passion. I graduated from Millikin University with a Bachelors Degree in Vocal Performance and then continued onto DePaul University for my Masters Degree in Opera Performance. From there I went onto perform across the Chicagoland area in a variety of Operas, Operettas and Musicals. I also started teaching acting classes and private voice lessons to pass my passion along to the next generation. Not exactly the path you’d expect a writer to take. I’d never dreamed of writing a novel. But I loved to read. Then one day I had an idea and I started to write. I found my passion for creating characters lived on the page as well as the stage. It is my hope that the characters I’ve created resonate with you and make you smile. I still teach voice lessons and sing for the occasional professional event. But the rest of my time is spent with my husband and son while dreaming up new and interesting stories. I hope that someday I hear yours. Mindy: OMG! I’m more than a little excited that I get to interview you! Thank you so much for giving me your time! I love your books BTW, and I’m a majorly obsessed fan! Nice work with that ending in Graduation Day! EPIC I tell you!!! Joelle Ah! Thank you so much for reading and for that feedback on Graduation Day. I’m so nervous about the next two books coming out and it is nice to hear someone besides me and my editor likes where the story went. Hurray! Mindy: To start, I want to say that one of my favorite things about your books is that your stories are full of unexpected twists and surprises! Did you plan the twists and surprises in advance, or did they come to you while you were writing? Joelle I love twists and surprises in stories and I am so glad that you do, too! Which is probably why it is good that I never have an idea that a twist or surprise is coming until it happens. I get to enjoy and react to the turn right along side the characters. Mindy: I also love your characters! I love how each character has a hidden agenda, and I love the way each character evolved throughout your books. Did you plan in advance how each character would evolve, or did that happen through a random mutation process (LOL!) that occurred while you were writing? Joelle Character development is a total random mutation process! (I am going to steal that phrase from this moment on. Just so you know.) When I start writing, I have a general idea of how certain characters might develop, but that all goes out the window as the story progresses and plot developments occur that I never saw coming. There are some characters I thought were going to be flat out bad guys who turn out not to be evil. Others who I loved writing take a turn for the dark and then I have to follow that course to the end. To be honest, I feel a whole lot like Cia when I write because I don’t really know who should be trusted or where their reactions to the storyline might take them. Mindy: Cia is an unusually bright, intuitive problem solver. Where do you think this ability comes from? Joelle I think that if presented with a world that was broken, most of our youth would develop strong problem solving skills. The human race, as a whole, rises to the occasion when it is called for, which is why I think so many of the students picked for The Testing and eventually make it to the University are strong, smart, intuitive people. Cia, however, tends to trust her intuition more than many of them, which is why she finds herself in the middle of this story. Her ability to have faith in her perceptions, I think, is her most unique trait. I think I made that a central part of her character as a reminder to myself that I should try to do the same thing. Mindy: How did you come up with those amazing tests, and which test were you most proud of creating? Joelle The tests in the books are my favorite parts of the story! I’m so glad you liked them!!! The Testing structure was based on the SAT – especially the part about being penalized for wrong answers. UGH! I hated taking the SAT for that reason. I didn’t mind not getting the point if I was incorrect, but deducting points that I had earned really set me on edge. Because I wanted to mirror the SAT, I used a 4 part Testing process. The first round is meant to feel familiar…it is a test we all have sat through. The second set of tests was based on the labs that I’ve had to take in science…with a lot of twists. I tried to keep in mind what kinds of information would be necessary to survive and thrive after the Seven Stages of War and used that to create those tests and the forth test. The third test is the one I am most proud of. It is based on The Prisoner’s Dilemma, which is a game theory about why two people might choose not to cooperate even though it appears in their best interest to do so. I loved the idea of testing not only someone’s knowledge, but their ability to judge other people’s abilities and their motivations. The fourth tests takes everything from the first three and puts them into one large practical examination that at the same time allows the candidates to see and experience the world that they, if they are chosen as leaders, will have to help fix. As for the tests in Independent Study, those were created around the idea of the scavenger hunts that are incredibly popular in college as ice breakers or initiation events. They take all of the ideas from The Testing and turn them on their head a bit, which was tons of fun to write! Mindy: What was your favorite or most surprising scene to write and why? Mindy: Which was your favorite book in the trilogy to write and why? Joelle Yikes! I loved writing each book for very different reasons. When I wrote The Testing –the books weren’t under contract. It was a totally change from my other published books and I just loved the thrill of the ride. But I think my favorite book of all three to write was Graduation Day. It was like watching all the pieces of a very large puzzle come together and form a complete picture. I just hope readers like it as much as I do. Mindy: And which character did you enjoy writing the most and why? Joelle Will is my favorite character to write. He is smart, witty, and isn’t black and white. Will walks in a world filled with shades of gray, which means you never really know what he is going to do next. Exploring his choices and how they impact others was intriguing and a great deal of fun. Mindy: Your stories revolve around a number of complex and difficult political themes. Do you have a background in politics/government, or did you have to research this topic for your books? Joelle Ha! My background is in musical theater and opera. (Honest! I have a master degree in singing.) Although, I was a history minor in my undergrad and really loved studying the events around the world that lead us to where we are in present day. I think the laws that govern a society have a huge impact on everyone within that society, whether they want them to or not and so I guess it isn’t surprising that political themes became a huge component in The Testing Trilogy. Especially since Cia aspired to becoming one of the leaders who helps create those laws. Mindy: With that being said, was there any other research you had to do to write this trilogy? Joelle OMG! The research on biological and chemical weapons I had to do for this trilogy probably landed me on every government watch list there is. I also had to do a great deal of studying on plants, the physics involved in bridge construction, calculus (which I was really bad at in high school), how far a person could travel on a bicycle on certain kinds of terrain each day, making bombs, the geography of current day Wichita and Wichita State University as well as a host of other things. There is a danger in making a character smarter than you are – which Cia totally is. I had to know and understand everything she did, which meant lots and lots of studying. Mindy: Your books are all written in first person POV (Cia’s.) Did you find it difficult to write the entire series from one character’s POV, and did you run into any challenges because of this? Joelle Writing an entire series from one person’s POV is really wonderful because you get to really focus the story and get deep inside the person’s head. Nothing can happen in the story that doesn’t directly impact the main character, which, while challenging, is great because the story unfolds in a linear fashion. And, perhaps the best part, no matter how terrible things get in the story, you and the reader are both assured that the person you are most invested in will has to make it through to the other side…because otherwise the story would end. Mindy: Cia seems to have a very complex internal/emotional dialog. Did you have to work out those moral/ethical issues in your own mind before you started writing? Or did you work them out while you were writing Cia’s internal dialog? Joelle Joan Diddion once said, “I write to find out what I’m thinking, what I’m looking at, what I see and what it means.” I would ditto that sentiment because it is only through the process of telling the story that I am able to really work out what I think about various issues. Rarely are issues black and white and often things we see as terrible were created with the best of intentions. Mindy: And, finally, what’s your next book? And when are you going to send me a copy?!?!?!? Mindy: Thank you so much Joelle for stopping by Magical Urban Fantasy Reads! I’m so thrilled that you gave me the opportunity to interview you! 3 INDEPENDENT STUDY prize packs with a finished copy of the book, a GRADUATION DAY ARC, a bracelet, pencil, & temporary tattoos! US only. I can't wait to read this series!! I asked for book one for Christmas but strangely enough I only got ONE book this year, and sadly it wasn't The Testing. Its ok though, my birthday is in a month!! Thanks for the giveaway and interview! I liked seeing all the different topics she had to research for the series! Thanks for the awesome giveaway. This series sounds really good. I have The Testing and would love to get #2. Thank you for the chance to win it! Can't wait to read these books! Thanks for the giveaway! Great interview! Cannot wait to read book #3! I cant wait for the third book! I really need to get to this series! It's at the top of my list.